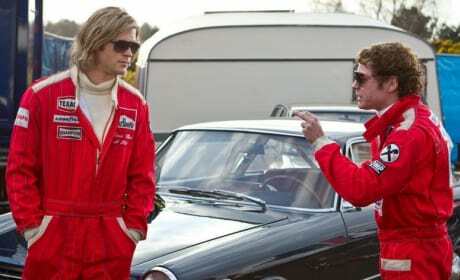 Chris Hemsworth scores a victory in Rush. The Ron Howard movie tells the true story of racing's greatest rivalry. 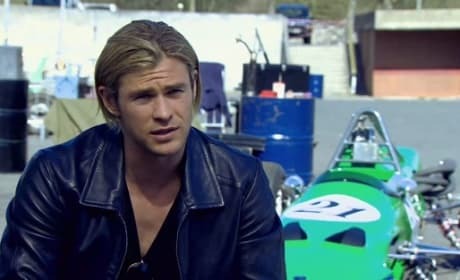 Chris Hemsworth in a behind-the-scenes video for Rush. Ron Howards directs the true story. 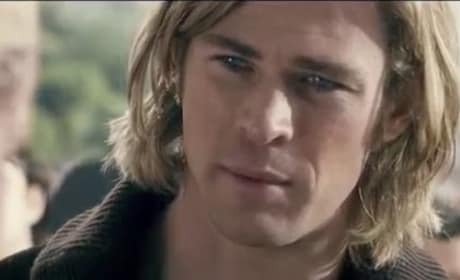 Chris Hemsworth stars in Rush. The film is from Ron Howard. 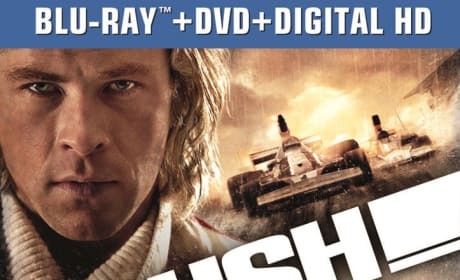 Chris Hemsworth stars in Rush. 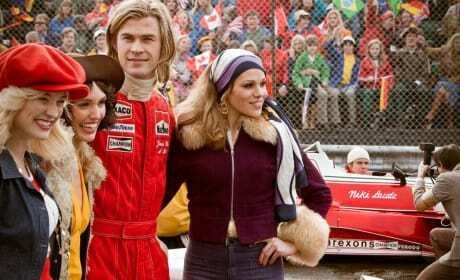 Ron Howard's latest film stars Hemsworth as the real life racer James Hunt. The Rush movie poster. 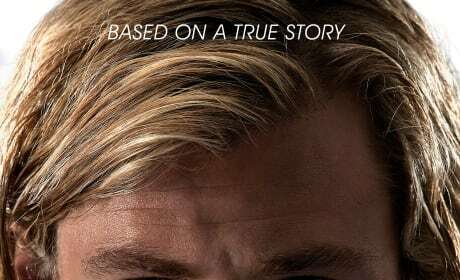 Chris Hemsworth stars in Rush. 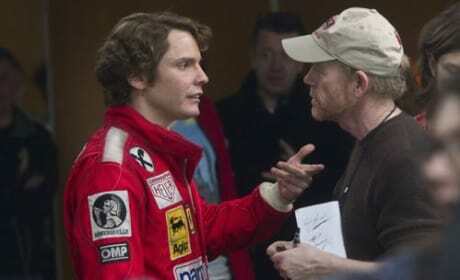 Daniel Bruhl talks with director Ron Howard in this Rush set photo. 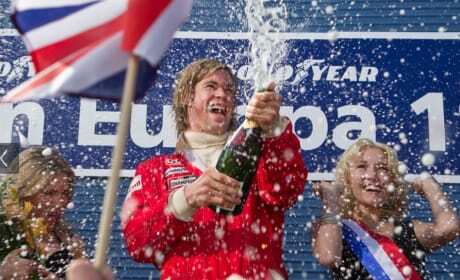 The film tells the story of James Hunt and the 1976 Formula One season. 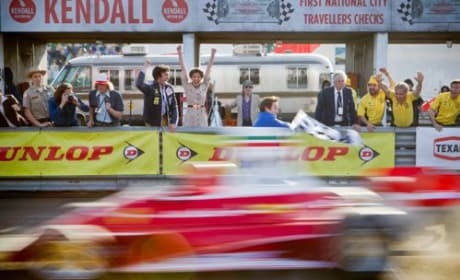 A car crosses the finish line in this still from Rush. 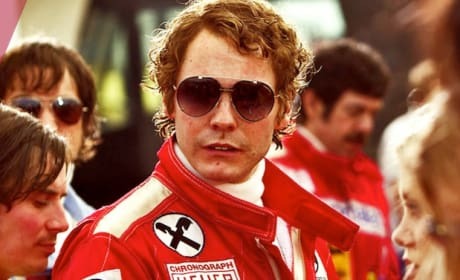 The film, directed by Ron Howard, tells the story of the 1976 Formula One season. 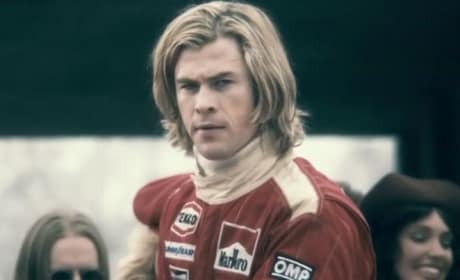 Chris Hemsworth sits in a car as James Hunt in this still from Rush. 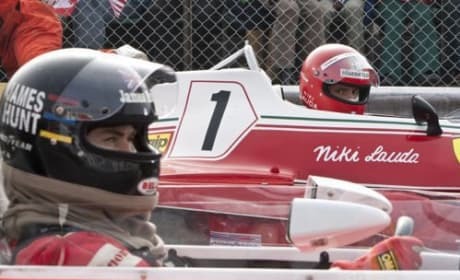 The film tells the story of the 1976 Formula One season.